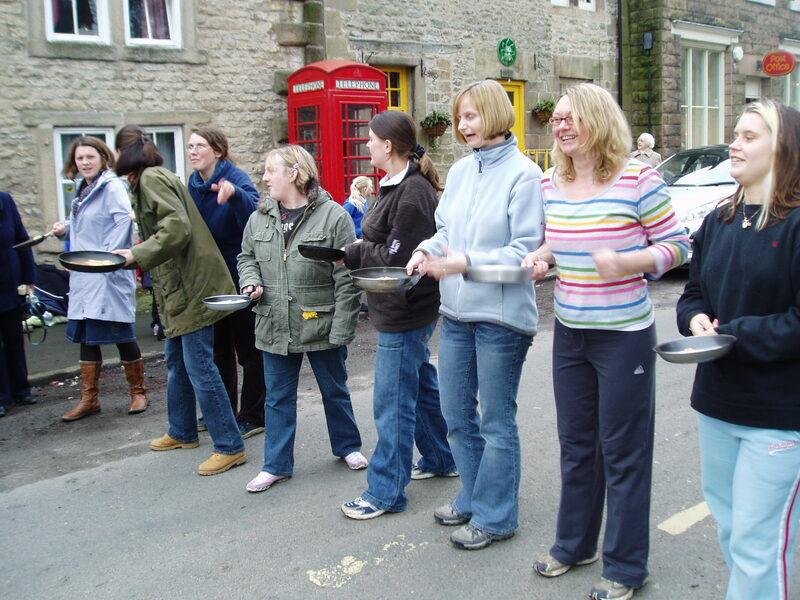 I was fortunate to off work one Shrove Tuesday and witness the Winster Pancake race. 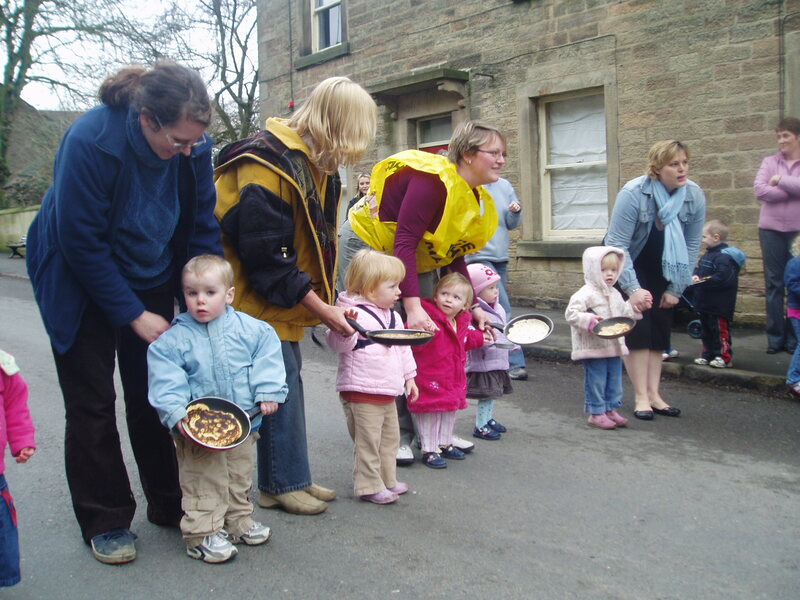 Now of course there are pancake races up and down the country, but really it appears that only two can claim any greater heritage than Olney and Winster. Indeed, Winster claims to be the oldest…a fact disputed by the 15th origin quotes for Olney….but it certainly is interesting how it originated. In 1958, Porteous (1976) noted that the first time ever a grand mother, daughter and grand daughter were involved in the race, and that day, he states there was snow on the ground. There was no such snow when I arrived. Indeed there was not anyone! For I arrived in this picturesque small town at around 1, the races were to begin at 2, and it was completely empty. Even the local shop which claimed to be opened was shut and the only place open was the church. Taking rest here for a few minutes, I soon heard a bell rung, and I left and then was confronted with a throng of people all summoned by the bells and the thought of the pancake race. The race route, covering 100 yards, from the Dower House at one end of the street to the Market House at the other was made safe by a group of officials at the taped off finishing line and the road was closed. Then began the races and never had I seen so much earnest, especially with the mother’s group who more than made up by the slightly confused assembly of pre-schools who appeared to be marshalled with their mums earlier . The fathers and even grandfathers ran and appeared to be very competitive. 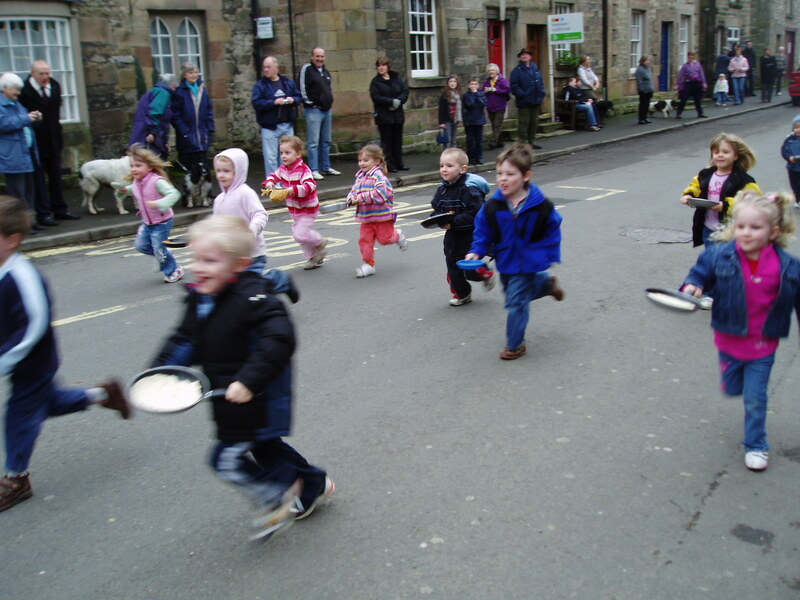 Overall it is great to see the Winster pancake races continuing, bucking the trend that suggests that the dreaded health and safety executives have ‘stopped’ races elsewhere.